So today I am going to switch things up a bit. First off I recognize that for most of you the Yokai are let’s say not exactly your favorite. So here’s what I am going to do. I am not going to post anymore individual Yokai by themselves, however, for those of you that did enjoy the Yokai I will be producing 4 more to make an 11×17 poster of the entire collection as a whole. 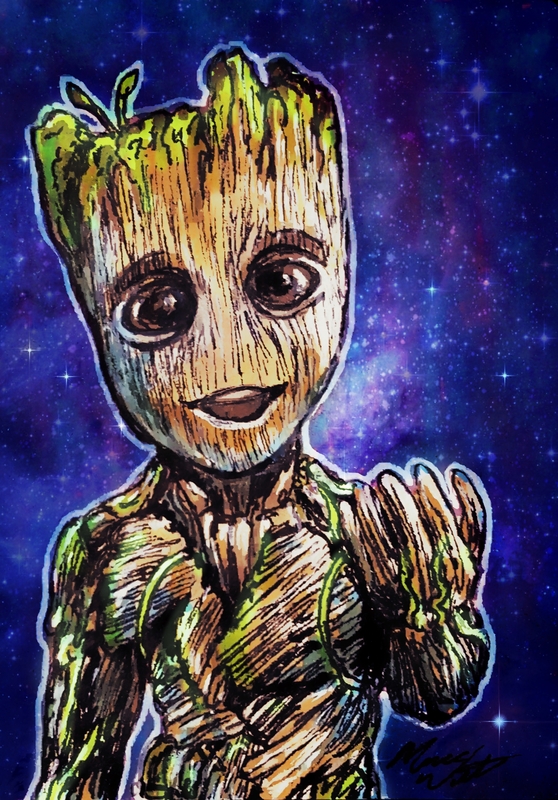 Today I am posting a Groot I did as a commission. Going forward I will be doing a mix of more popular properties with a mix of original meteors n milk content. These will include Pokemon, DC Comics, Marvel and more! So stay posted and we will see you on the next page…. Previous PostHitotsume Kozo – Yokai #10 PLUS a super fan tattoo!